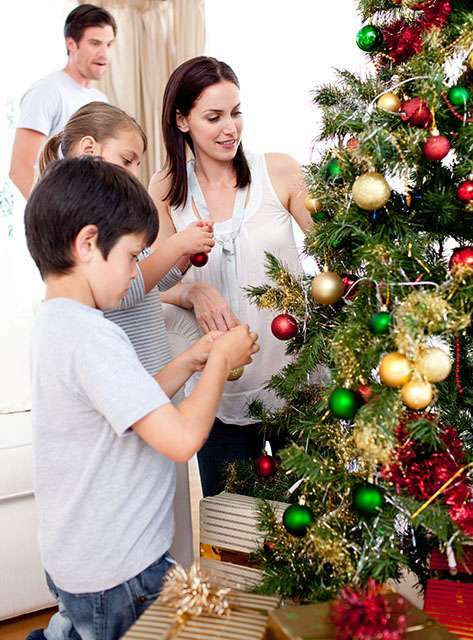 This article will help guide you as you prepare your home for Christmas. First Step Clean the house. The decorations won’t look nearly as pretty if they’re nestled in with cobwebs. 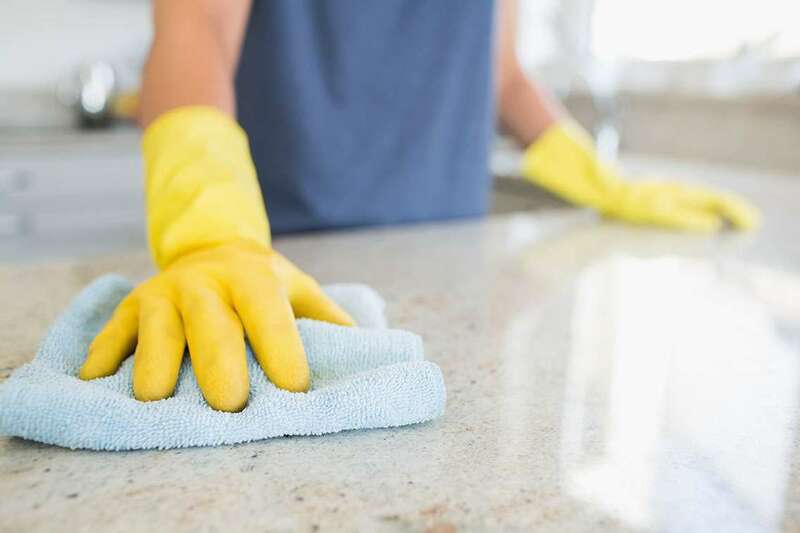 Give the house a deep clean, dust, vacuum, mop, and polish. Do all the laundry, or have everyone do their own if they’re old enough. Bring in any potted plants from outside if they won’t survive the cold and rake up any leaves left over from fall. If you have children, have them clean their rooms just as thoroughly, telling them that Santa may not come if they don’t. You can also use this as a time for them to go through their toys and pick a few to donate to a charity or thrift store. If any toys are broken, throw them out. Of course you can call Absolute Shine Cleaning Services for this step. 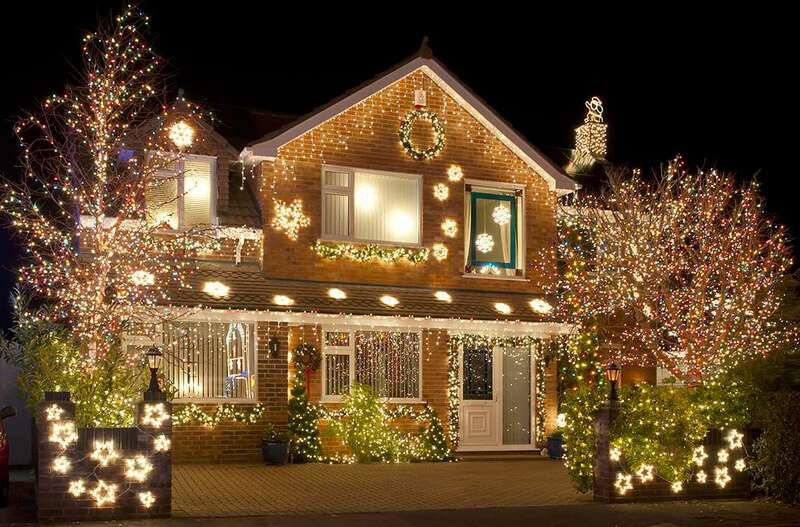 If you already have lights, use them; if you don’t wish to use the existing lights, or you want different lights, go to the store and buy new ones. There are no right or wrong lights, it’s just a matter of personal taste. Be sure to buy plenty of light hooks and nails while you are out. If you are buying new lights, understand what you want to do with them first. Are you stringing them up just around the room on the side facing the street? Are you putting stripes across your roof? Know approximately how many feet you want to cover and where before shopping. You can buy one at a Christmas tree lot or use an artificial tree if you prefer. Put the lights on the tree first, wrapping them in and out of the branches for a fully “lit-up” look. Next comes garland, if you’re using it, and then the ornaments. If you like, do the actual decorating as a family, letting everyone put on their favorite ornaments. Put the tree topper on. This could be a star, an angel, or something else entirely. Again, it’s a personal choice. If they’re in danger of all being eaten before Santa gets there, tuck a few away or plan on making another batch closer to Christmas Eve. 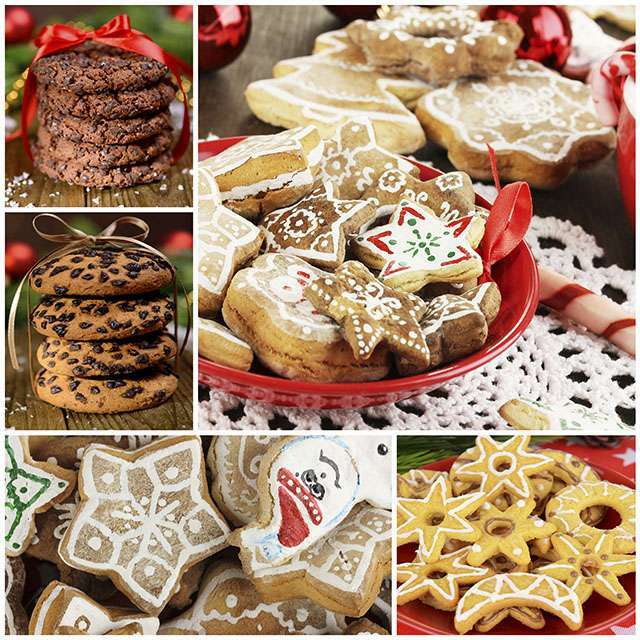 Gingerbread men and Sugar cookies are popular choices. Don’t think it’s just the children who can decorate cookies! Make a list and check it twice, of who you’re buying for and what you want to give them. Make sure the cost of each gift will fit into your budget before you do any shopping. Once you’re bought the presents, wrap them up! Store bought wrapping paper, newspaper (especially the comics pages), brown paper from grocery bags, and gift bags are all options. Ribbons, raffia, or fabric scraps can be used to top them off. Don’t forget the tag saying who it’s for! Put some of the presents under the tree. 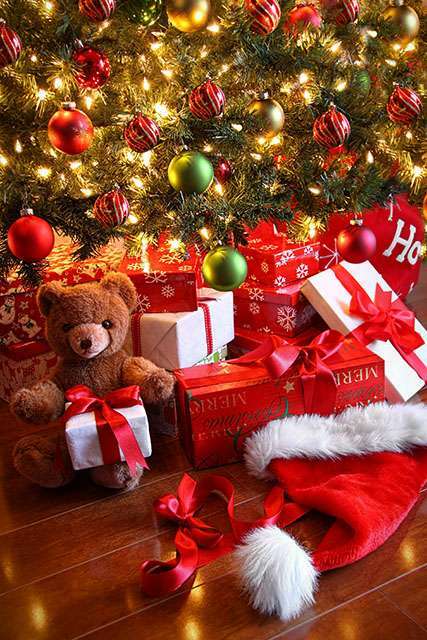 If you have children, it’s best not to put any presents to them under the tree until closer to Christmas. If you have aunts, uncles, other relatives, friends, or neighbors coming by that you’ve shopped for, put their gifts under the tree. It makes it look very Christmasy. Well done with this steps you must be almost ready for Christmas. And remember Shiny Home, Happy Family! !